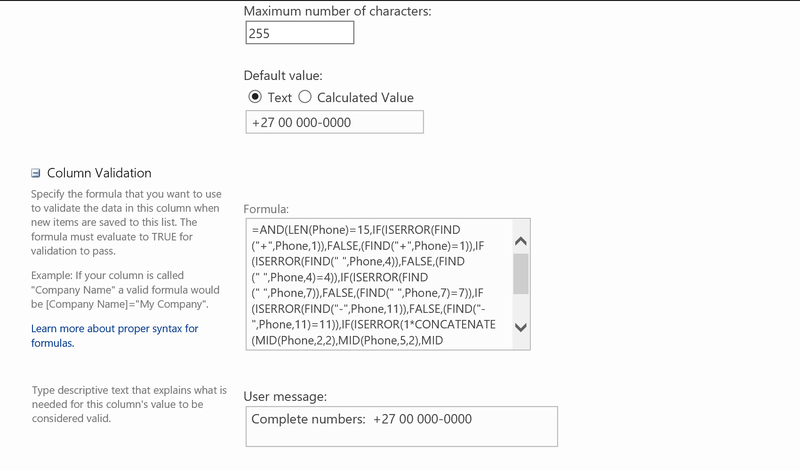 #Office365Challenge This post will show you how to validate length and use of special characters in a telephone number. In the previous posts we used List Validations (under the List Settings). 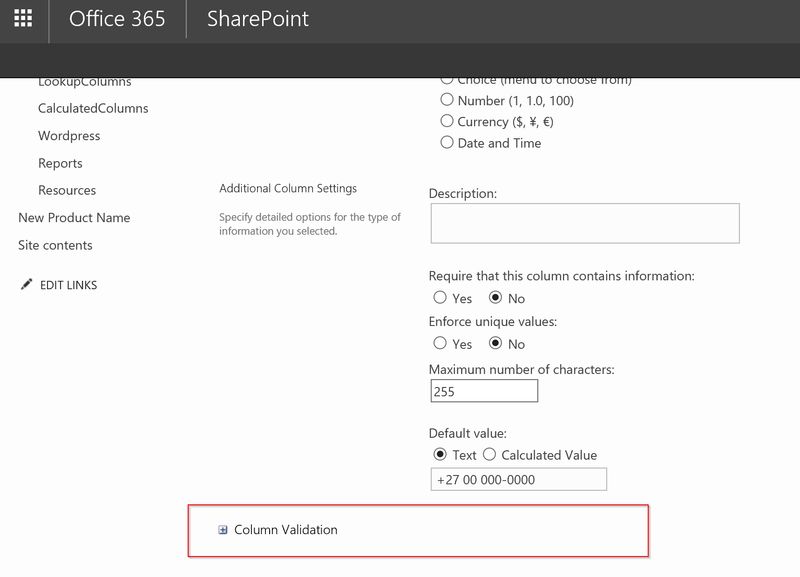 This post uses Column Validations which you set on the actual Column. List Validations are great when using multiple columns in the formula, Columns validations work great if only that specific column is “involved” in the formula. Let’s just manage some expectations right upfront. This only works if you add a country code in front with a “+” and ONLY if that prefix is only 2 characters long, for example +27 which is SA. Anything more than 2 characters will give an error. Here is a great blog by The Chris Kent which doesn’t use country codes, BUT it gives me errors because it validates the number by multiplying it by 1 – which doesn’t work with SA numbers as most of our numbers start with “0” – which then returns an error. So… I’ll have to figure that one out some other day – comments on how to overcome this will be very welcome! Enjoy!! And remember – if you have comments on how to overcome my “start with zero” problem or the length of the Country Code – I would appreciate it.